Mansfield, 2 vs. Shrewsbury, 3 – Final – Click here for a Photo Gallery from this game. 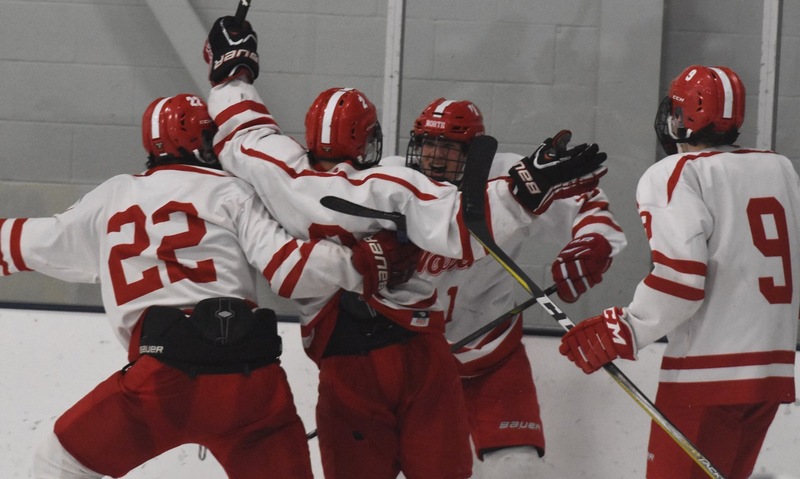 Mansfield outshot the Colonials 29-19 but the two-time defending D3 state champs (who moved to D1 this season) pulled out a one-goal victory at Rodman Arena. 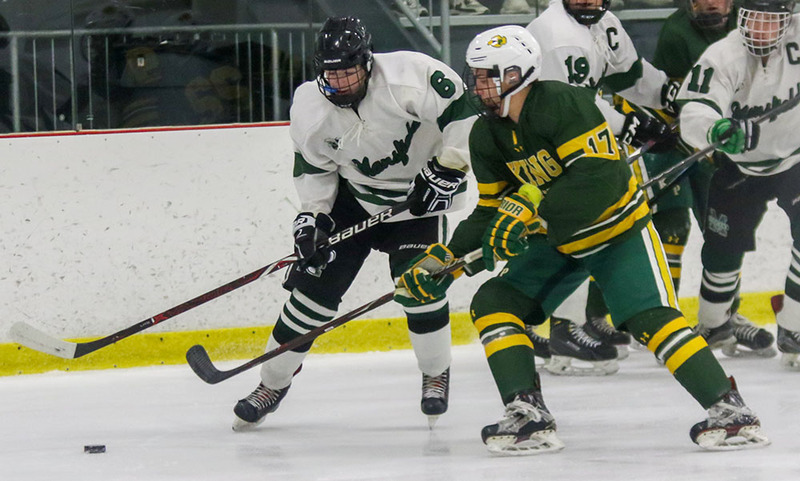 Jake Lund scored the game-tying goal in the first period, assisted by Austin Ricker and Brad Grant, but the Colonials scored twice in the second, including the eventual game-winner with a two-man advantage. 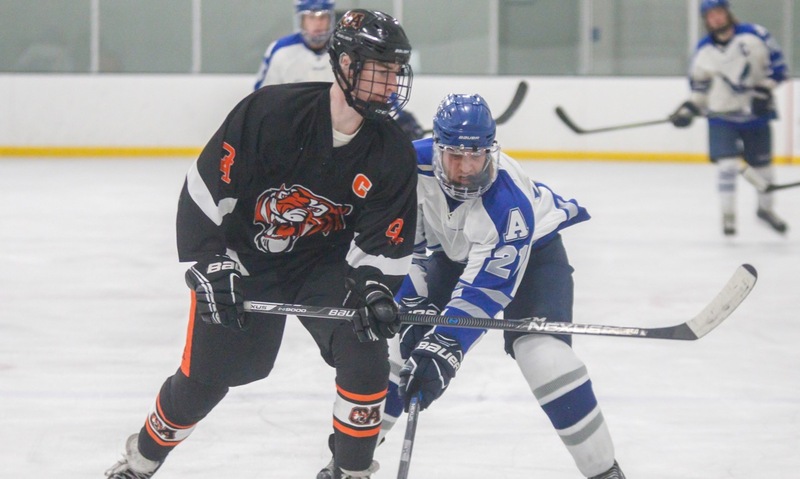 With the goalie pulled and less than two minutes on the clock, Mansfield got back into the game when freshman Mark DeGirolamo knocked in a rebound of a shot by Matt Copponi, but Shrewsbury held on. 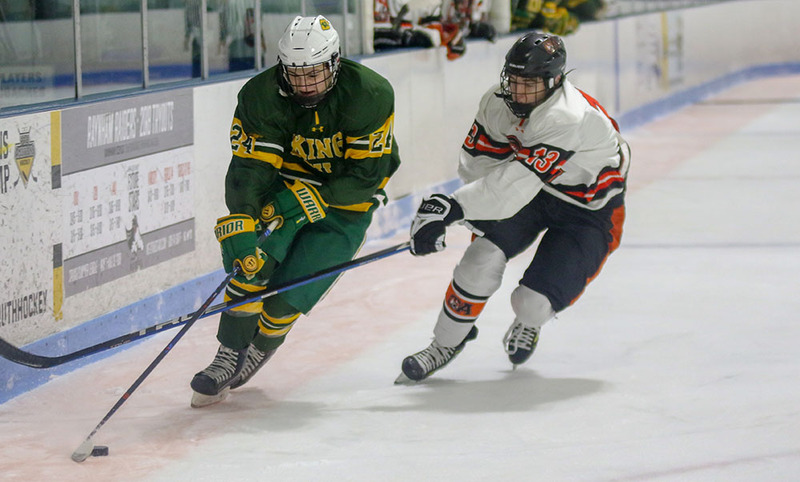 King Philip, 3 vs. Milton, 2 – Final – King Philip’s Conor Cooke scored the game-winning goal with 6:28 left in the third period to lift the Warriors to a win over the Wildcats. Paul McDonald had the assist on the game-winner. KP took a 1-0 lead in the first period off a power play goal from Ryan Fitzpatrick, assisted by Brendan Shandley. Kyle Gray scored unassisted in the second but Milton scored twice to make it a 2-2 game. James Lewis made 15 saves in net for KP. Franklin, 3 @ Algonquin, 2 – Final – Amanda Lewandowski, Cassi Ronan, and Regan Paterson (game-winner) each scored goals for the unbeaten Panthers and Gabby Colace (14 saves) picked up the win in goal.